DARLAK - Bernice A. Of North Tonawanda, Tuesday, March 19, 2019 at the age of 97. 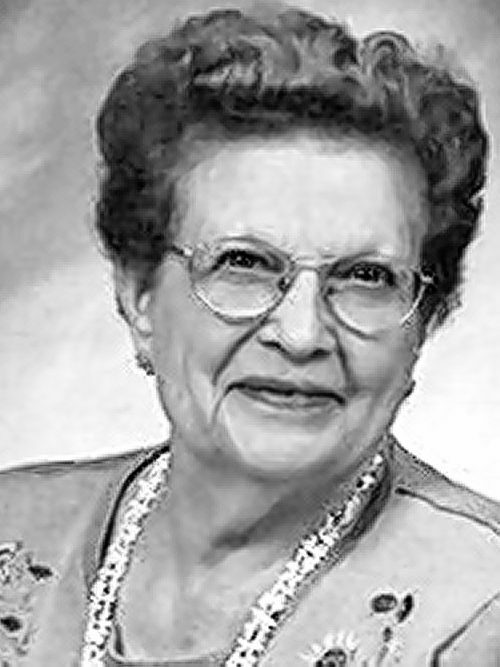 Daughter of the late Josef and Anna (nee Ozimek) Darlak; sister of the late John, Edward, Bernard, Frank Darlak, Josephine Huk, Jennie Skop, Mary Ziolkowski and Stella Jarzynski; also survived by many nieces, nephews and cousins. Family will be present to greet relatives and friends THURSDAY, MARCH 21st from 4-7 PM at the saber funeral home, 549 Oliver St., North Tonawanda (692-0271). Family and friends are asked to gather at Our Lady of Czestochowa Church (Oliver St.) for a Mass of Christian Burial to be celebrated Friday at 9:30 AM. Entombment Holy Family Chapel Mausoleum Mt. Olivet Cemetery.